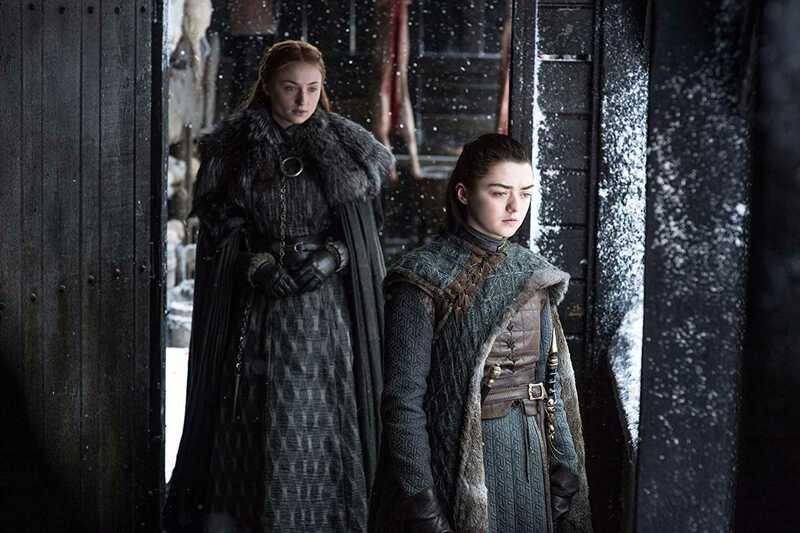 'Game of Thrones': The Stark sisters took a long time to move from anger to trusting each other but will season 8 undo all that? Season 7 saw the sisters at first opposing each other, then blaming each other, but finally uniting against a common enemy. The Stark sisters haven't really been the best of siblings, and yet the development of their relationship over the course of the show until their reunion in Season 7 saw the two sisters battle every obstacle in order to become true Stark women of Winterfell.  However, there have always been some very distinctive qualities that set the two apart. 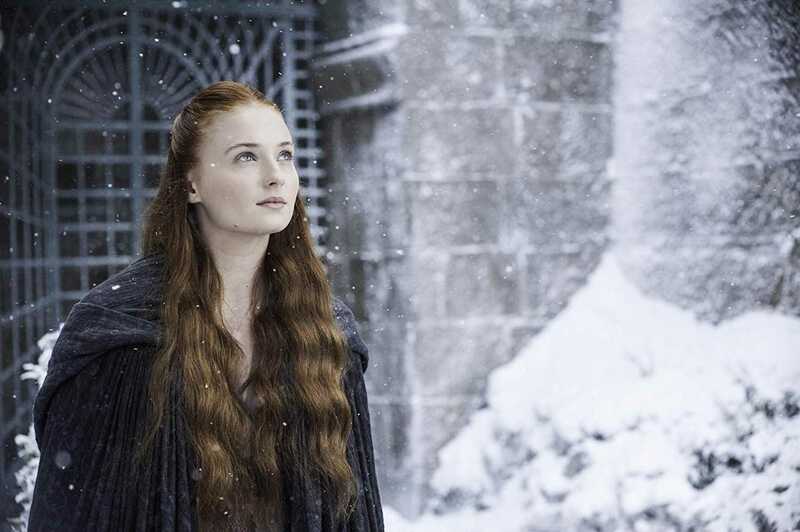 While on one hand, Sansa (Sophie Turner) who is the elder daughter transformed from a naive teenager to the rightful Lady of Winterfell, on the other hand, her sister Arya (Maisie Williams) became a faceless murderer who would even challenge her own siblings if she sensed any betrayal on their part. Sansa and Arya did not share a childhood where they were bonding, instead, they were always contradicting each other. Their primal negation of each other was prominent when Sansa put her faith in Joffrey (Jack Gleeson) but Arya, like the rest of her siblings, knew that Joffrey was never up to any good. They both lost their wolves which soon became indicative about their changing personas that was nothing similar to the other Starks. 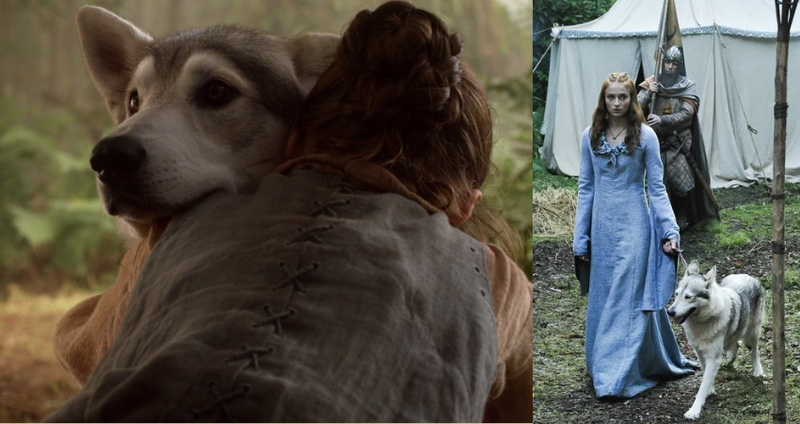 While Lady, Sansa's direwolf, was killed, symbolizing the death of Sansa's stay in Winterfell for the rest of the five seasons, on the other hand, Nymeria, Arya's direwolf ran away never to be seen again, almost hinting at Arya's upcoming voyage as a no one. Arya does get to see Nymeria but by then she has grown to be the leader of an entire pack of wolves. Although Arya didn't grow up to be a leader, she had nevertheless trained herself to be a swift warrior who fought without an army. Arya grew up in the open, she didn't have a place to call home, and instead traveled around everywhere seeking lessons in warfare and strategies which would later help kill all those who were on her list. However, things were different for Sansa. Just like her wolf, she was thrown into the cage of the Lannisters where she was humiliated, tortured, and abused to the point where Sansa lost all her pride. Yet, she managed to get out of it and develop herself as a political leader who knew how to run a kingdom. When the sisters finally met in Season 7, for the longest time they were uncomfortable in each other's presence. Having seen the world from very different perspectives, they now had a separate approach towards life. 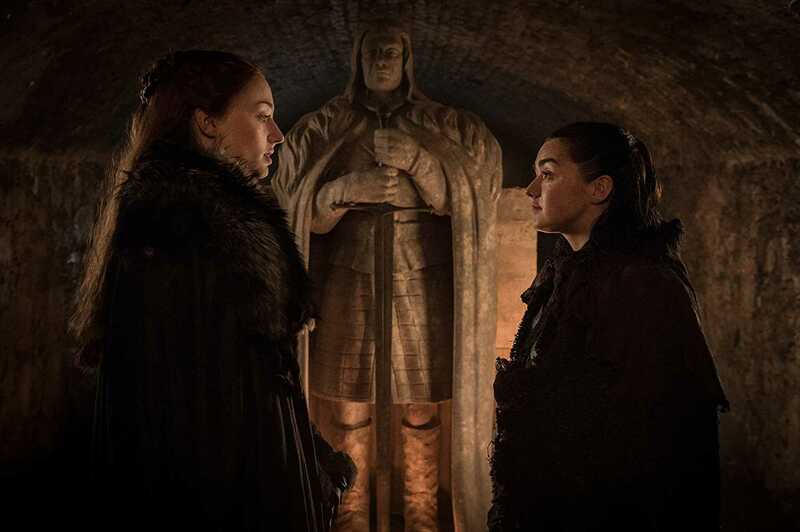 In the scene where Sansa encounters Arya about her facelessness, we hear them both speaking how each would fight a war. Arya was more inclined towards slashing throats, claiming that if the enemy is killed at the root then no one would ever have to do anything.  However, Sansa mentioned that in order to defeat an enemy it was important to keep friends close, and that requires listening to the complaints of those who would even blame her family for the disaster. Both sisters grew up and embraced the principles of their parents. Arya grew up with the brevity and the skills of her father as a fighter, and Sansa developed the humanity and the brilliance of her mother. After many odds, they finally reunited to kill off a common enemy, Littlefinger or Lord Peter Baylish (Aiden Gillen). This was the point where the sisters distinctively showcased their skills. Sansa, was for the longest time was tied in his favor, and Littlefinger had adviced her, "Don't fight in the north or the south. Fight every battle, everywhere, in your mind. Everyone is your enemy. Everyone is your friend." She maintained her stance as the Lady of Winterfell and utilized his advise against him, by charging him with treason and murder. Once Sansa had sentenced him to death, Arya showed off her precision by slashing the man's throat with just a single stroke of her sword. There was no torture, no elongated speeches, and literally no nonsense in Arya's execution of the sentence. Season 8 will see yet another foreigner arriving in Winterfell, but will that create a rift between them, again? For unlike Season 1, this time it is Arya's turn to be pleased with the foreigner and Sansa's turn to be disgusted by it. Game of Thrones' Season 8 arrives on HBO on April 14, and winter is already here!